HARTFORD ROAD UPDATE – PLEASE HELP US! Recently the NJDEP issued a directive that they will be pursuing remuneration against several companies who produced or used a certain family of products which have been discovered in some drinking water supplies in NJ. https://www.nj.gov/dep/docs/statewide-pfas-directive-20190325.pdf. Included in the family of products are PFAS, PFOA, PFNA, PFOS, etc. In accordance with Federal standards, Mount Laurel MUA’s water was tested and none of these contaminants were found in the water supply. Here is a link to our fact sheet on the subject http://www.mltmua.com/pdf/PFCs%20FAQ.pdf. In addition, the Patch issued an article regarding the NJDEP directive on March 26, 2019. The article also lists some NJ water suppliers which had violations between October 2014 and September 2017. Mount Laurel MUA was on the list because in the 2nd quarter of 2017 our testing results for disinfection byproducts (DBP) were reported late; this happened during a transition to a new contract laboratory and the situation which caused the late reporting of data has been corrected. 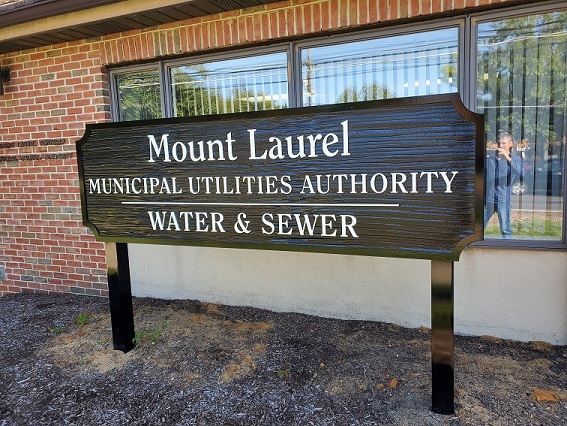 At no time during this period, did any water supplied by the Mount Laurel MUA violate any drinking water quality standards. Link to drinking water watch https://www9.state.nj.us/DEP_WaterWatch_public/. When this page opens you must enter our PWSID# 0324001. Copyright © 2017 - 2018. Mount Laurel MUA. All Rights Reserved.